The Disneyland Resort will continue its 60th Anniversary Diamond Celebration through Summer 2016, extending the three spectacular after dark shows created for the special anniversary – the Paint the Night parade, the immersive Disneyland Forever fireworks show and the all‑new World of Color – Celebrate! The Wonderful World of Walt Disney. The exciting celebration, which also features sparkling décor, themed food and merchandise, will conclude on Labor Day, Monday, September 5, 2016. The Wonderful World of Disney: Disneyland 60 is a production of Den of Thieves (MTV Video Music Awards, American Idol, MTV Movie Awards, Critics Choice Movie Awards, the Radio Disney Music Awards). Jesse Ignjatovic and Evan Prager are the executive producers. 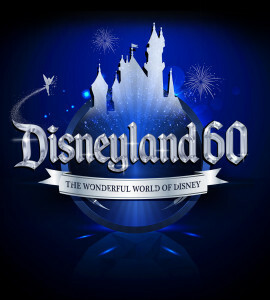 The Wonderful World of Disney: Disneyland 60 is broadcast in 720 Progressive (720p), ABC’s selected HDTV format, with 5.1 stereo surround sound. 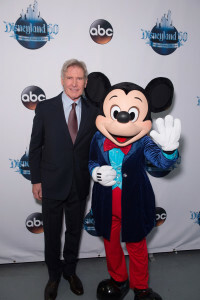 This entry was posted in Home Page, Home Page Slider, News and tagged Diamond Celebration, Disneyland Resort, Star Wars. Bookmark the permalink.